ANKARA, Turkey — Turkish President Recep Tayyip Erdogan said Tuesday that his country’s plan to purchase Russia’s long-range missile defense system is a “done deal,” brushing aside concerns from some NATO allies. 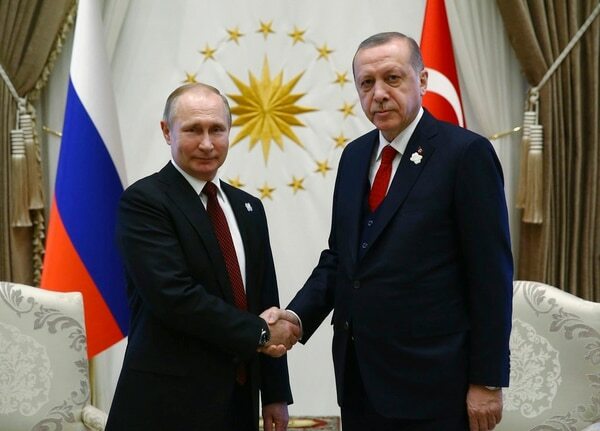 Erdogan appeared at a joint news conference with Russian President Vladimir Putin, who was in Ankara for his first foreign visit since his March 18 re-election. Both the defense system agreement and Putin’s visit underscore the intensifying ties between Turkey and Russia. In December, they finalized a deal for Turkey to purchase Russia’s long-range S-400 missile defense system, raising eyebrows among some of Turkey’s fellow NATO members. “We have made an agreement regarding the S-400s. That subject is closed. It’s a done deal,” Erdogan said. The warming relations between the two countries stand in contrast to the souring relations between Russia and the West over the poisoning in Britain of a Russian ex-spy. Turkey’s relations with its Western allies also have deteriorated over human rights issues and its military operations against Kurdish militia in Syria. Putin said Russia will manufacture the S-400 missiles at a quicker pace than initially planned to deliver them more quickly per Ankara’s request. “We have decided to speed up the delivery of those highly efficient systems,” he added. Earlier, the two leaders symbolically launched the start of the construction of Turkey’s first nuclear power plant, which will be built by Russia near the Mediterranean coast at Akkuyu. Putin hailed the project as a symbol of growing cooperation between Russia and Turkey. Erdogan said the power plant would meet 10 percent of Turkey’s energy needs after all reactors become operational. The Akkuyu plant is being built by Russia’s nuclear energy agency, Rosatom. The project is estimated to cost $20 billion. 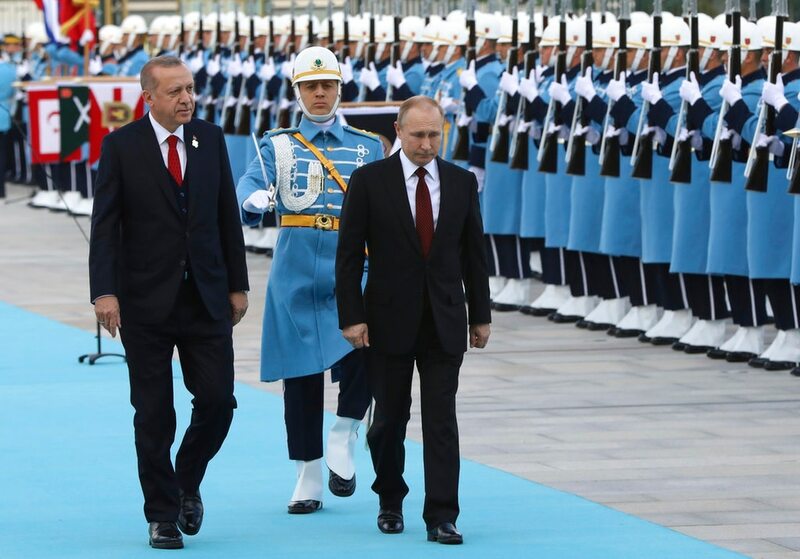 On Wednesday, Putin, Erdogan and Iranian President Hassan Rouhani are expected to hold a summit in the Turkish capital of Ankara to discuss Syria’s future. The three countries are sponsoring a series of efforts in a bid to end the seven-year war. Their cooperation comes despite having positions on opposing sides in the Syrian conflict. Moscow and Tehran have backed Syrian President Bashar Assad, while Turkey has supported the forces seeking to unseat him. Associated Press writers Cinar Kiper in Istanbul and Vladimir Isachenkov in Moscow contributed.